For A Limited Time, Free Shipping On All Lobster Tennis Ball Machines! Lobster ball machines have played an important role in the development of many top amateurs and pros alike. If you took a survey of 50 of the best pro and amateur players in the U.S., you would probably find that a high percentage of them currently practice, or have practiced, with a Lobster ball machine at some point. If you want to improve your game, you may often find yourself looking to the best in the business to find hints and secrets to success. And if a large percentage of those "best in the business" are using a particular ball machine like Lobster, should not tell you something? Not all ball machines are alike, and it's shown by use that Lobster ball machines are top-of-the line for their quality, durability and consistency that help players of all stripes practice better and more efficiently. Don't take any aspect of practice for granted - have the right racket, the right balls for the right surface, and the right ball machine - which for many top players is the Lobster ball machine. We offer three different models, each with their unique features and benefits - and we are happy to help you determine which Lobster ball machine will be the best fit for your needs and budget. 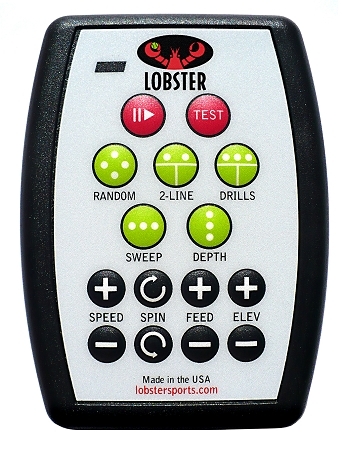 No matter what, you will be a step closer to improving your game when you use the Lobster ball machine for your practice sessions! Many tennis pros attribute a great deal of their success directly to the time they spent practicing with a Lobster Tennis Ball Machine. Whether you're a novice, a junior champ, a weekend warrior, or on the professional circuit, your game will be transformed. 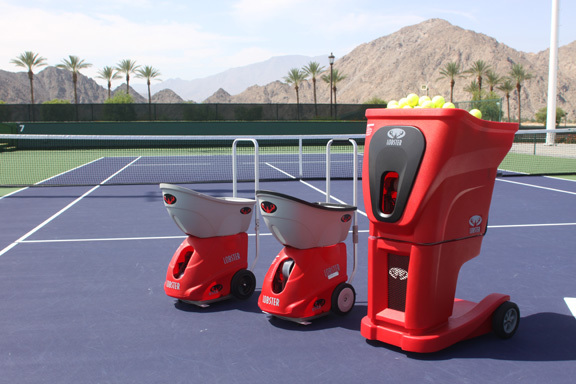 Our "Built for Life" commitment ensures innovative and durable tennis ball machines that will stand the test of time, and make you look and feel great every time you practice! Click on any of the 3 series above and check out all of their great features and benefits.